Subtle rustic details capture the enchantment of cottage living. Product Description Subtle Beauty. 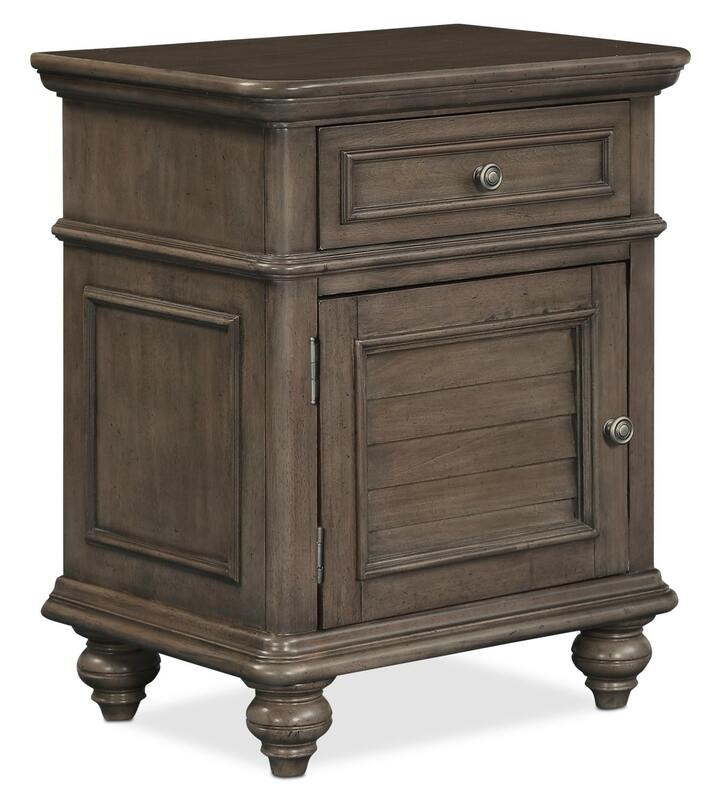 Channel the serenity of a quaint cottage with the Charleston one-drawer nightstand. The louvered door perfectly pairs with a variety of bedroom furniture to bring out the charm of the rustic countryside. Pewter-finished hardware, stepped moldings and lovely turned feet add exquisite finishing touches, providing you with a well-furnished bedroom. Customer assembly required. Unique Features: Spacious drawer leaves plenty of room for nighttime essentials to be stored nearby. Tapered legs and pewter-finished hardware offer rich details. Drawers: Felt-lined top drawer protects delicate valuables. Ball-bearing glides ensure easy drawer operation.